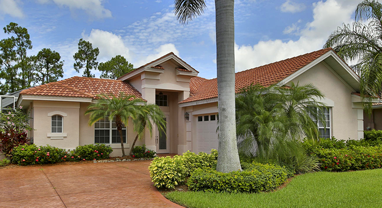 Eagle Creek Real Estate, a private and gated golf club community, located on 300 acres of native Southwest Florida beautiful terrain in Naples. Centrally located between Naples and Marco Island, Eagle Creek is close in proximity to Route I-75, Downtown Naples and Marco Island. Situated amid the lush well-manicured tropical landscaping of Eagle Creek, the community is located 35 minutes from Southwest Florida International Airport, 15 minutes from Naples Municipal Airport and 10 minutes from Marco Island Executive Airport. Additionally, Eagle Creek Golf & Country Club is just a short drive to the breathtaking beaches and waters of the Gulf of Mexico, Naples Bay, five-star luxury hotels, superior hospitals, medical facilities, schools, upscale shopping and gourmet dining at The Village on Venetian Bay, The Waterside Shops, Mercato, The Coastland Mall, the boutique shops and fine gourmet restaurants of Fifth Avenue South and Third Street South, The Naples Philharmonic at Artis-Naples and The Baker Museum, The Barbara B. Mann Center, The Naples Zoo, The Naples Botanical Gardens and Marco Island Esplanade. Founded in 1984, Eagle Creek is 100 percent built-out with 458 residential units, including single-family homes, villas, and condominiums. Eagle Creek has something for every personal flavor and budget. The small size of the community creates a special intimacy amongst the residents, affording its members and homeowners the upscale amenities of a much larger community. At Eagle Creek Golf & Country Club, the well-planned spacing, and location of residences provides homeowners with impressive unobstructed views of the golf course, tropical fauna, and flora, sparkling fresh-water lakes and water features. The Eagle Creek community strives to protect the environment with providing a quality wildlife habitat and for conserving the natural resources of this attractive area. Over the many passing years, the community has repeatedly won local and national awards for the beauty and maintenance of the Golf Course, grounds, and common areas. Eagle Creek Golf and Country Club is an outstanding Naples private equity golf club where members enjoy year-round golfing events organized by its Golf Committee and superbly run by its PGA golf professional team. The creation of an active walking program for golfers makes Eagle Creek homes for sale unique among Naples area golf course communities. 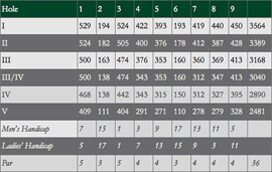 Opened in 1983, the golf Course is a challenging 18-hole par 72 regulation course, designed by the renowned architect, E. Lawrence Packard, ASGCA. This golf course is truly a paradise especially when it comes to playing the game of golf. Universally appealing with an agreeable layout and multiple tee placements, the course permits each individual to play to his and her skill-level. Additionally, Eagle Creek Naples Florida Golf Course integrates the natural environment throughout the entire layout…rolling lush fairways, flowering marshes, crystal-blue fresh water lakes, manicured greens, towering oak trees, pines, cypress and palm trees, sandy white bunkers, flowering natural vegetation and well-maintained tropical landscaping is intermingled amongst the lovely residences. Experienced onsite PGA golf professionals and a teaching staff assist with improving the game of golf, and the Golf Pro Shop is fully equipped with all of the latest sportswear trends and state-of-the-art golf equipment. Furthermore, there is a driving range, a putting green, a chipping green, golf club rentals and full-service locker rooms with showers and a spa. 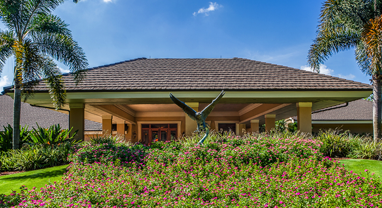 The community of Eagle Creek Golf & Country Club is privy not only to spectacular championship golf but to a variety of benefits, facilities and amenities that include a beautiful Clubhouse that was recently renovated in 2007. The Clubhouse affords breathtaking views of the surrounding golf course and tropical landscaping, providing the members with dining options from casual meals in the Grille Room to elegant fine dining in the Main Dining Room. There is also a casual dining option at the Crystal Lake Café located at the Sports Complex pool. Additionally, the community boasts a Tennis and Sports Complex with lighted Har-Tru Tennis Courts as well as Har-Tru Bocce Courts, a Junior Olympic sized pool with men’s and women’s locker rooms, a Tennis Pro Shop and Fitness Center that offers classes in aerobics, water aerobics, and yoga. Eagle Creek Golf & Country Club is also biking and jogging friendly, providing several long distance paths throughout this well-designed residential community. Eagle Creek Naples Golf & Country Club is proud of its diverse membership and strives to provide various options to suit every individual’s needs. There is truly something for everyone…from gourmet and casual dining, tennis, championship golf, water sports, an array of social activities and unique private events. Homeowners are required to have either a Golf Equity Membership or a Social Equity Membership. There are also a limited number of Non-Resident Golf Equity Memberships available. And, for a limited time, Eagle Creek is offering Introductory Golf Memberships. Please note that membership prices and fees are subject to change. For discrete and professional service, please call me to schedule a private viewing of any one of these real estate listings. If you would like for me to do all of the research for you, please call me with your search criteria and I will email you all of the listings that you should be considering, and that specifically match your lifestyle requirements. 239-963-6590. I have been selling Marco Island and Naples Real Estate since 1978. I make it easy and enjoyable while presenting you with all of the FACTS necessary to make an informed decision. There is a lot which one needs to take into consideration when buying Eagle Creek Properties For Sale to ensure that you are not only buying the lifestyle that you are searching for; but, that the property does not have any ISSUES and that you are getting a good VALUE. Please take the time to read the “About Us” in the top navigation bar to see my 35-year background in Custom Home Building, Development and Real Estate in Naples, Marco Island and Palm Beach, Florida.